On Friday I travel to Moscow for the first time. I left getting my Visa a little late. They are expensive if one leaves them late, but the current system is reasonably efficient from an issuing office in East London. The March for the Alternative, organised by the TUC, was certainly a large Trades Union demonstration. It galvanised people – particularly in the North where the public sector cuts are going to be particularly felt – for the struggle ahead as the cuts bite. The diversity was reassuring. People regaled about the last time they attended such a sizeable demonstration – the Iraq war demo 8 years ago. And that is perhaps key. The demonstrators were right then and they are right now. Decoding these rather insensitive bits of prose is not my task now. But the BBC’s continued concession to these people to have free rein to spout this nonsense gets increasingly intolerable. 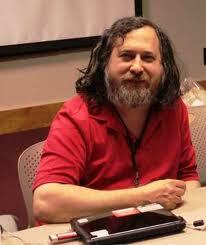 Richard Stallman visited the University of Sussex on 8 March. He is an extraordinary mix of reason and zealotry. His arguments against proprietary software, copyright and freedom are fantastic and thoughtful. In fact, it is evil to teach children and students proprietary software because it is given free to schools to lock them in to systems that expensive to buy and maintain. However, there is no compromise and perhaps no real understanding about how most of use use technology. Or perhaps there is. Stallman implores us to to use any software on our computers that is not ‘free’ – not free in the sense of price, rather liberty. Most software requires its ‘owners’ to have access to the computers that it operates for benign and not so benign reasons. The not-so benign reasons involve control and checking up on us, locking us into particular networks and ways of thinking and doing. Importantly, they also prevent us from copying and sharing. And this is Stallman’s particular bugbear. He lives in a cash economy – his rule of thumb is that if he cannot buy with cash, he will not buy. He advises against buying a Kindle, for example. Amazon is evil and controls absolutely the Kindle and the books that one downloads onto it. My reasons for not trading with Amazon are related to Wikileaks. On that he did not express an opinion. Joan as Police Woman did not disappoint. I cannot find a review for this particular gig which Joan herself described as one of her best. She tends to be plagued by bad sound. At the Wedgewood Rooms, apparently, they always get it right. I wish that there had been more people there; not a bad audience, and very intimate, but I do not know how she pays the bills. I’m helping having now bought the album on CD and Vinyl (albeit signed by the woman herself). 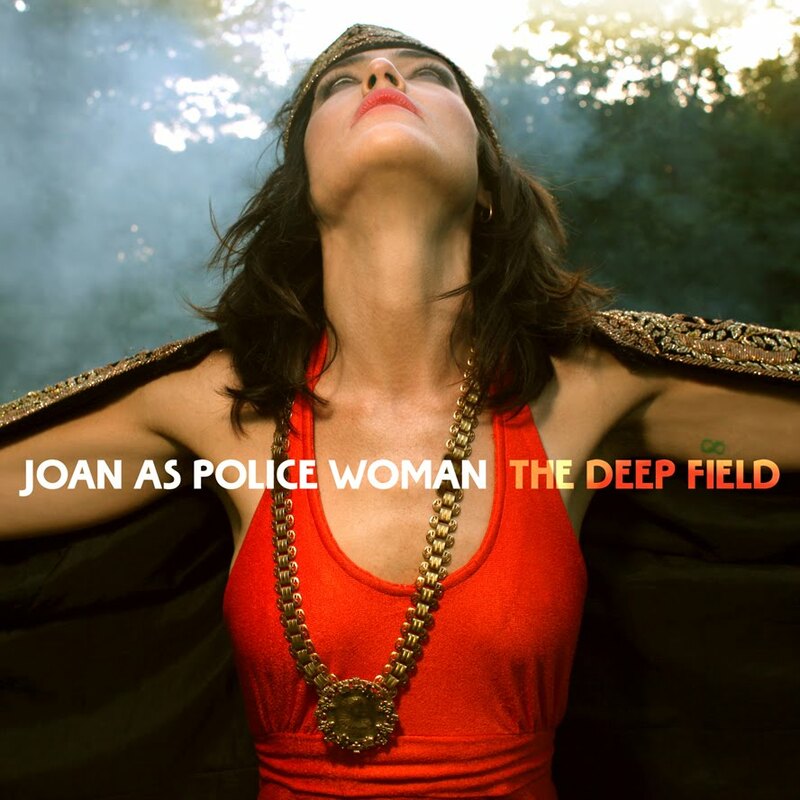 Tonight I go to Portsmouth to see Joan as Police Woman. I saw her a couple of years ago in Brighton and she was brilliant. The new album is, as she says herself, rockier than the melancholic ‘To Survive’. Tonight she will wear her leather jump suit which she says she intends to wear for the whole of the 50-date tour. She suggests that it might stand up by itself by the end. Maybe. We have waited some time for the winner to be announced of the Platitude of the Day annual award – the Web’s antidote to the nonsense that is Thought for the Day on Radio 4. 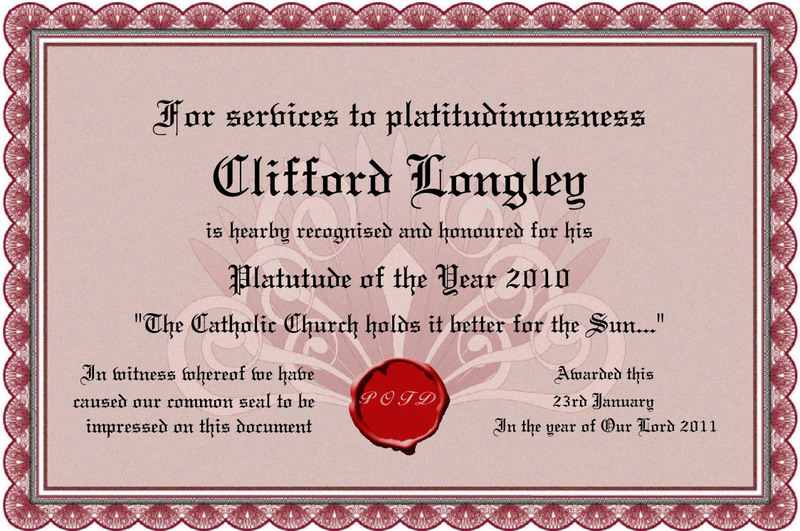 Those of us who are regular contributors to the Platitude blog agreed with the Adminstrator that it should be Clifford Longley for his consistency over the preceding year. The Adminstrator last week offered a list of nominees which included Ratzinger’s effort on 24 December (despite it not being particularly platitudinous). 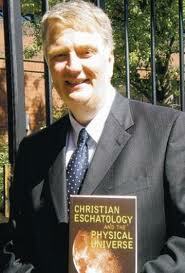 However, Ratzinger has offered plenty of platitudes over the previous year. Not enough, it was Longley. Incidentally, the quality of contributions so far this year has been poor relative to the last quarter of 2010. Anyone who takes pleasure in the discomfort of Michael Gove, the Tories egregious Education Secretary, should listen to his dissection on Radio 5 Live last week and his attempt to patronize his way out of it. Back at my desk for the new year. The German TV station, ZDF, has for 30 years hosted a programme called “Wetten Das”. Its charismatic host, Thomas Gottschalk, has built a very successful career on the platform. It is now in crisis after a near fatal accident on live TV. This reminds me of Noel Edmonds’ Late Late Breakfast Show in the UK when it endured a fatality during a risky stunt. In this case, a man was hit by a car as he attempted to summersault over it. Quite bizarre how such stunts get approvals, and why TV companies think it is legitimate entertainment. It has been a pretty extraordinary week for democracy. The Wikileaks keep coming and the collusion of various global brands with the American state worries me. Should I still buy from Amazon? Where do I stand with my Visa card? Amazon I can cope with. Whilst trading with other firms may not be quite so convenient, most things – books, for example – are relatively easy to find elsewhere on the web. Finding a substitute payment card, however, is not so easy. Mastercard and PayPal are also colluding. The Discovery Card seems in the clear but only because it is not widely accepted or issued. We have an early winter. As usual, we ground to a halt. I’m a little more phlegmatic about these things today. The snow came down very fast and the authorities are not clearing the snow sufficiently for the buses to run. The trains are another story. However, it is not fair to say that other European countries can keep things moving in these conditions. They do not. Today, in contrast, England won the second Test Match in Adelaide. England are well on the way to retaining the Ashes and taking them away from Australia for the first time since 1987. Kevin Pietersen came into form with a double century. That is long overdue. And then there is the case of Julian Assange. Assange has put his life on the line to open up government – at least parts of it that are not subject to democratic scrutiny. 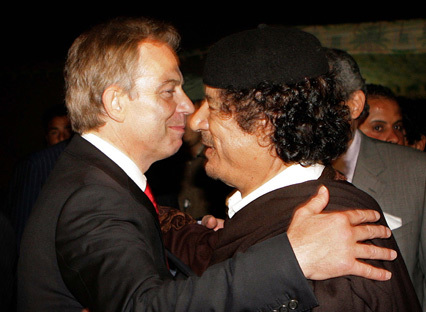 With two candidates for the American presidency calling for his execution (for all those found guilty of treason), it is very difficult to image that Assange would survive long there if he was extradited. This is a big challenge for the English legal system; should he be extradited, one might conclude that the British Government has also been leaned on by the Americans to achieve it. Here’s a strange thing. Walking towards Terminal 2 at Munich Airport last week I was approached by a man with a camera. He requested to take my photograph on the grounds that I was stylish! I was rather more concerned that it was a ruse to lift my wallet. 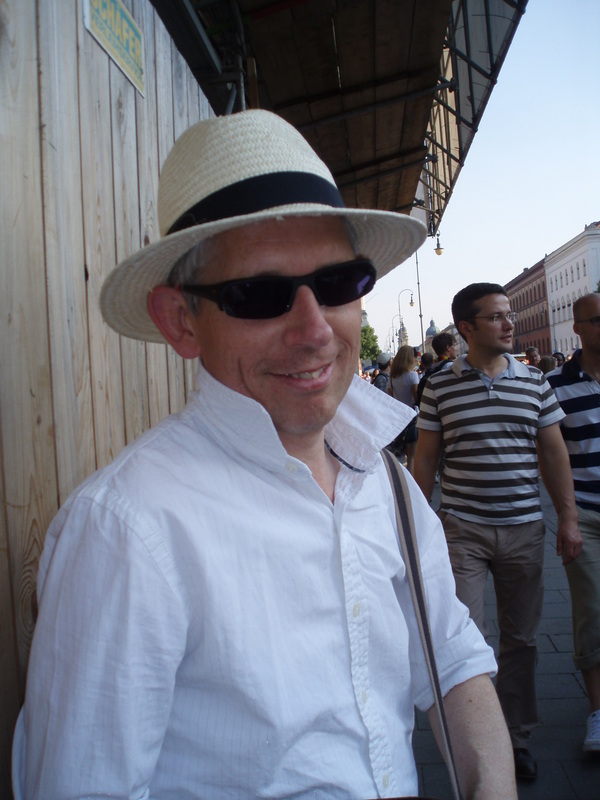 My picture is not up there – maybe I was right, I am not stylish (when compared with some of the cool dudes who are on the site), but there you go. Yesterday I attended a demo in Brighton against the public sector cuts. It is a while since I have been amongst so many trades unionists. 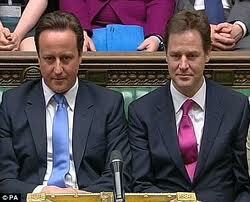 I had forgotten how angry they are; which is strange when we know how much there is to lose when one ‘loses’ it. Some of the most high profile cases in recent times have been the BBC’s Nick Robinson smashing a protester’s banner when it was provocatively placed in camera shot whilst Robinson was waxing lyrically (http://www.youtube.com/watch?v=5rU8YU3loeQ), and Adam Boulton of Sky News losing it in debate with Alistair Cambell (with whom it is often difficult to sympathise) on post-election speculation about how to form a government (http://www.youtube.com/watch?v=lbuXj1HyNy8). Even Caroline Lucas the Green Party’s sole MP (Brighton Pavilion) felt the need to shout at the audience who were all there to support most of the things the speakers were saying. Come on you people, the reasoned arguments are there to be made – this is not ideology, this is pure pragmatism. Leave the ideology to the Tories to hang by. I nearly take it all back (see entry 14 September 2010); easyJet has reimbursed me for the expensive Lufthansa flight that I had to take after the cancellation yet again of the late Munich flight from Gatwick on 10 September. It took time and a sharp (but articulate) letter and email to do it; but I put my hands up to them for the response. And that is despite the persistent claim that it was a technical fault on the plane that caused the cancellation and not an impossibly punishing schedule for planes and crew. Yesterday’s comprehensive spending review delivered by George Gideon Oliver Osborne, heir to the baronetcy of Ballentaylor, was the culmination of the expected attack on British society by a wealthy man who is ideologically driven to attack the public sector under the guise of deficit reduction. The impact on myself remains to be seen. I work at at university and 40 per cent cuts are anticipated. I don’t think he is a fan of my subject areas (social science) and my university is not in the elite group. It has no Bullingdon Club or equivalent (even if I was still a student). As for social housing, another area that I have some affinity with, the CSR is most challenging. I don’t understand the arithmetic that says increasing rents to new tenants to 80 per cent of market rents realeases sufficient funds to build 150000 new dwellings, even if that was fair. The housing benefit rules, moreover, will cause people to become migrants. There will be considerable pressure on cheaper parts of cities such as London. This then affects service provision in these areas such as social care and education. Local authorities will have to deal with these pressures with reduced budgets. Good for the swanky parts of town, not so good for elsewhere. If he has applied the same logic to other spending areas, we are in big trouble. I’ll keep this blog informed of my employment status, and that of my colleagues. It is always interesting to visit other universities. Notwithstanding the people, the architecture usually says someting. Yesterday I was in Ingolstadt in Germany visiting a colleague. The campus such that it is offers a very relaxed and open environment for staff and students alike. There’s lots of glass – and hence natural light. Lecture theatres are always curious places as they are invariably enclosed boxes with steeped seating. One looks very much like another. Look at them from the outside and they are pretty anonymous. Not the ones at Ingolstadt, however! easyJet have not been courteous enough to reply to my request for reimbursement from my cancelled flight (see 14 September). Maybe I’m being impatient? Perhaps they have more important things to do, especially as this is the last week of Oktoberfest in Munich. The idea that they fail to get a plane load of English revellers there doesn’t bear thinking about. My humble event on 11 September was worth the sacrifice for them. I’m still livid. My quest for products made in the UK continues. Yesterday I secured a UK manufactured dehumidifier. It is unbranded, though sold under the Wickes name. Branded equivalents come from EBAC in the UK. Maybe it is our damp island living that enables us to manufacture them domestically? 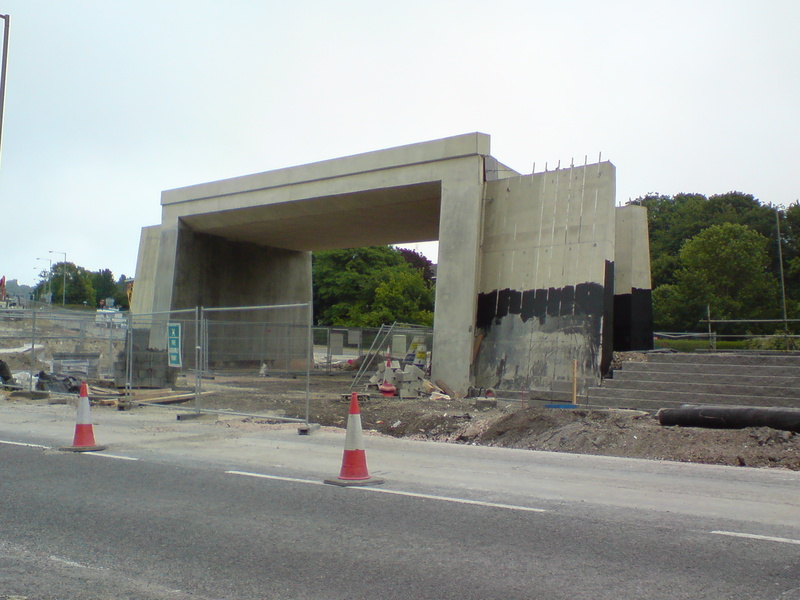 I am not sure whether any readers are interested in the progress of the road building last reported on 13 July. Well, getting on well I think. Here is the latest image. I’m a big customer of easyJet; they have a monopoly out of Gatwick on the route to Munich . So I persevere. This time they have pushed me too far. Too many cancellations and appalling customer service. Last Friday the flight was cancelled at 2000. They could only offer me a flight on 17 September as a replacement. Not good enough. I needed to be in Munich for an event. The Menzies ground staff assured me that easyJet would re-imburse the cost of a ticket from another airline. So I duly booked with Lufthansa for the following morning at a price of £300. Waiting for me in my inbox, however, was an incipid apology asking for a second chance (do they not know how many times they have cancelled this and other flights in recent months?). More sinister, however, was the reason stated. There was an undisclosed technical fault with the plane. This excuse, when reading the small print, is enough to abrogate easyJet. No liability. Why do I not believe the excuse? Why am I going to pursue my claim? 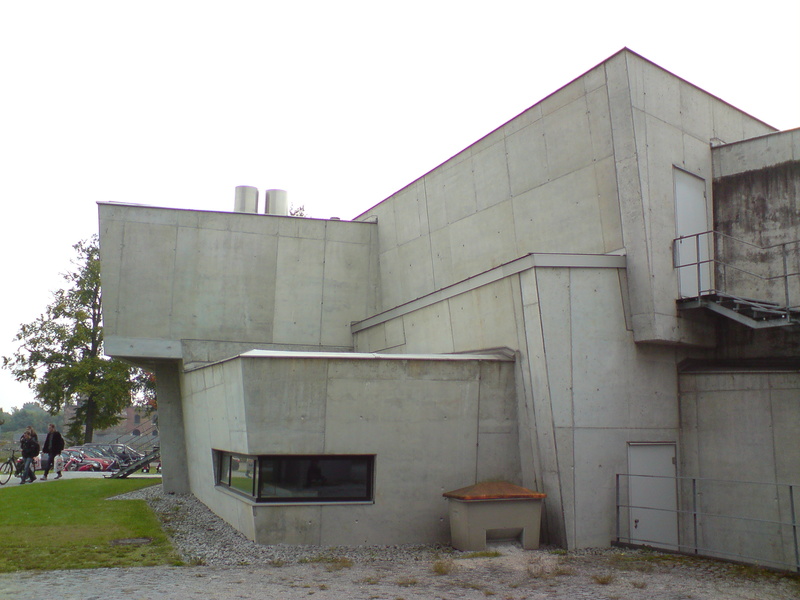 For the outcome, see post for 31 October. Here is another gripe. For a long time, left luggage facilities in the UK were non-existent. A few now can be found in major railway stations, but they are very expensive. London Victoria charges £8 for up to 24 hours. It can also take 15 minutes or so to get one’s case accepted as it has to pass through a X-Ray machine and valuables accounted for. Germany is a little different. 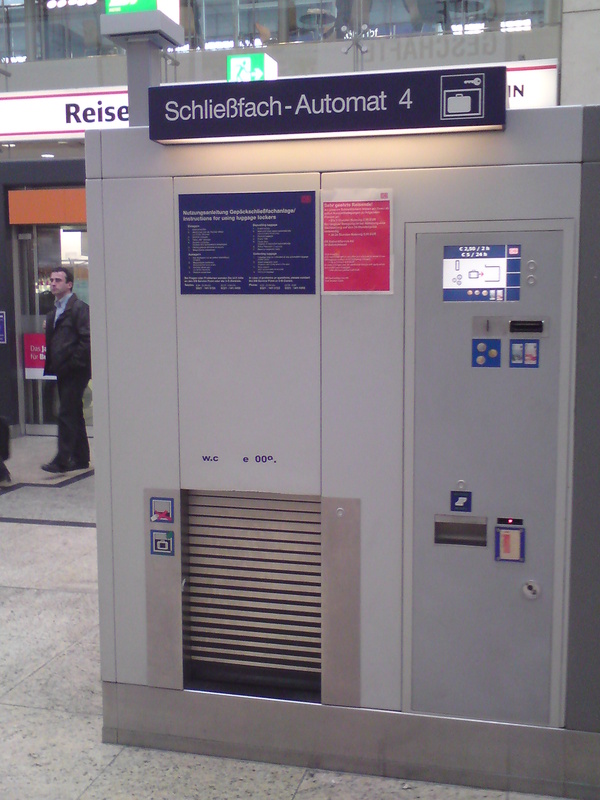 In München traditional left luggage lockers are abundant and reasonably priced. In Köln, the left luggage facility (pictured) costs 2 Euros 50 for up to 2 hours and 5 Euros for up to 24 hours. One places the case in the hole at the bottom, the door closes and luggage is taken to some underground storage area. One retrieves one’s case by inserting a card and waiting. So, it takes a fraction of the time to deposit a case and costs up to 1/3 of the price. I’ve been doing quite a bit of DIY in the last few days in Germ any. In executing my tasks, I have been to a number of Baumärkte to buy materials and tools. What I found particularly interesting is the origin of many of the tools on sale. In my experience, in the UK, many tools and materials are sourced from far-away places. 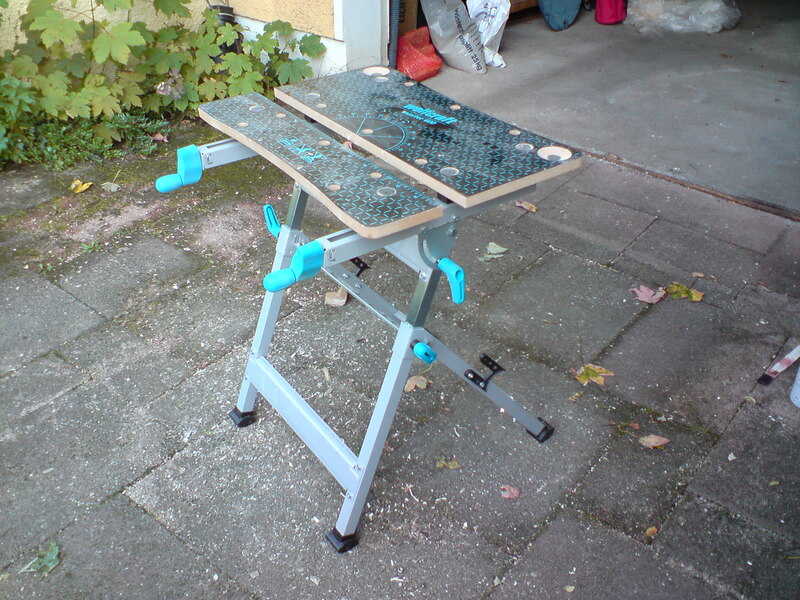 For example, I recently purchased a workbench that was made in China. I expected the same to be true of German retail. In fact, the domestic sourcing in the German Baumärkte is extraordinary. This bench is a German brand made in Germany. The price was comparable; it was easier to assemble than my UK equivalent. The extent to which this is a phenomenon of building materials and tools I am unsure. Further research is required. For example, kitchen equipment (I know that there are some high-end UK manufacturers making toasters, for example). 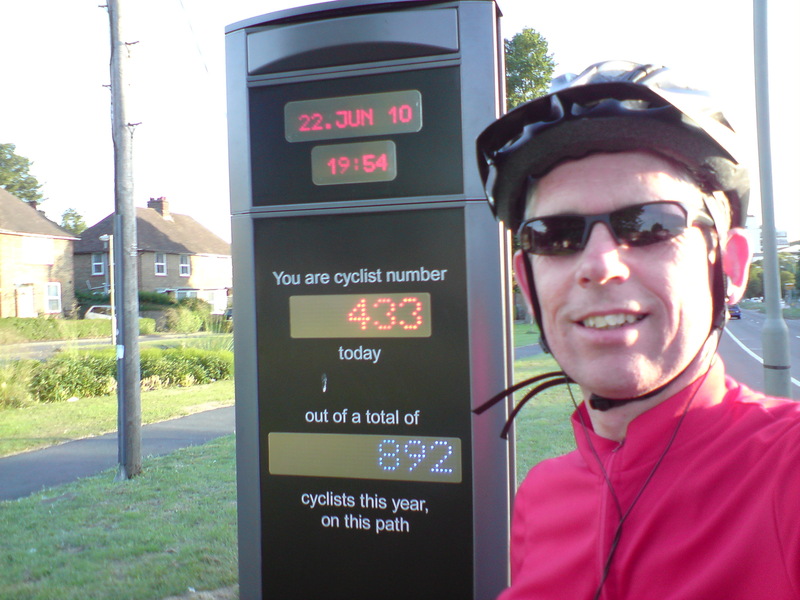 I cycled home one evening through the volcanic ash cloud that engulfed us in April 2010. I decided that it was worth trying to capture ‘it’ in a photograph. 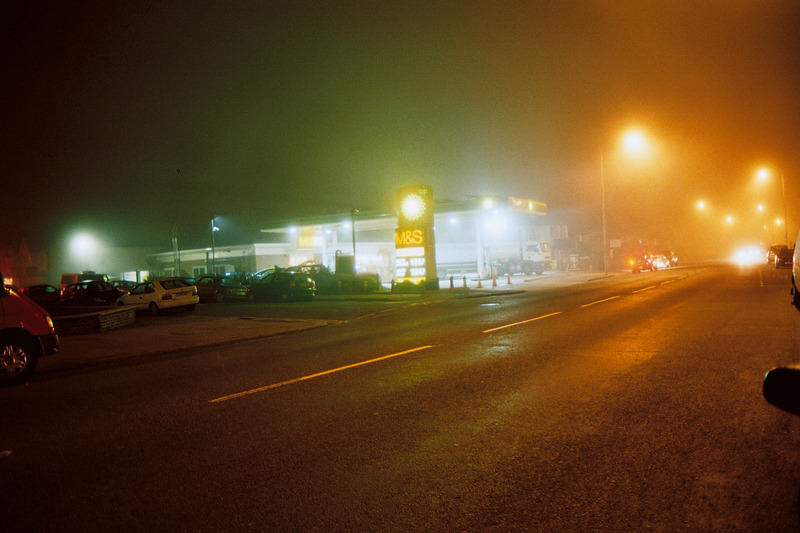 With the aid of a rather splendid light meter, I rehearsed a few shutter speeds and came up with the following. Here’s a little innovation for you from Sainsbury’s. Those of you li ke me who carry bananas around know only too well that they are prone to damage in one’s bag. 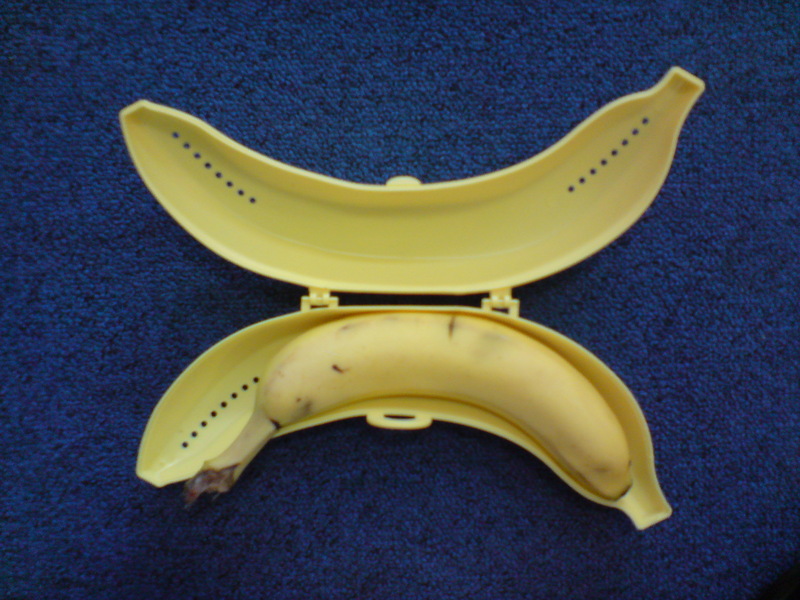 The solution, a protective case in the shape of a banana! However, the designers may not quite have got the curvature right. For my organic banana this morning, I found the curvature insufficient. This meant that I had to squeeze it in to the case. 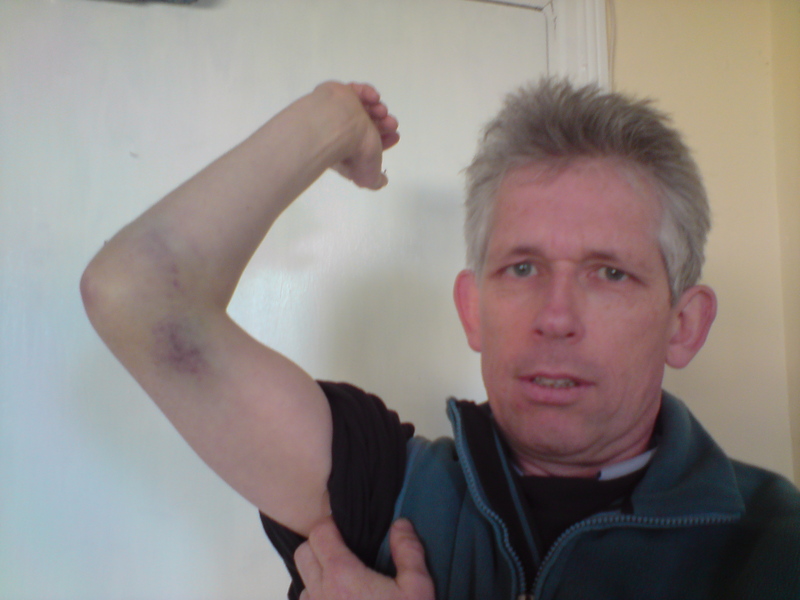 Consequently, when I retrieved it this morning after a typically strong cup of coffee, it was as bruised as if I had carried it uprotected in my pannier bag. On what basis did the designers decide on their average curvature? Time now for a bit of a rant: easyJet! The route between Gatwick and Munich is troublesome. It is never on time, but now even worse it is prone to cancellation. Now there is another little trick. Instead of cancelling the flight, they ‘postpone’ it to the following morning. Actually, they put on a completely new plane – unscheduled – which one has to take even if it is no longer convenient. Normally, if they cancel the flight, one can make a no-cost transfer to a flight of choice that reflects one’s changed circumstances. What’s more, because the flight is not on the system, they force passengers to check in manually. I waited 2 hours to check in earlier this week, even though I only had cabin baggage. What was Michael O’Leary saying about easyJet’s performance recently? Suffice to say, easyJet, my next journey will by by rail. Neil Hannon performs "The Complete Banker"
The Divine Comedy’s new album “Bang goes the Knighthood” is in my collection. It is a little understated. But like all good albums, they mature with listening. Even better is seeing the artist performing the songs. This is what Neil Hannon did on 17 July at Somerset House in London. Actually he did a lot more than that. 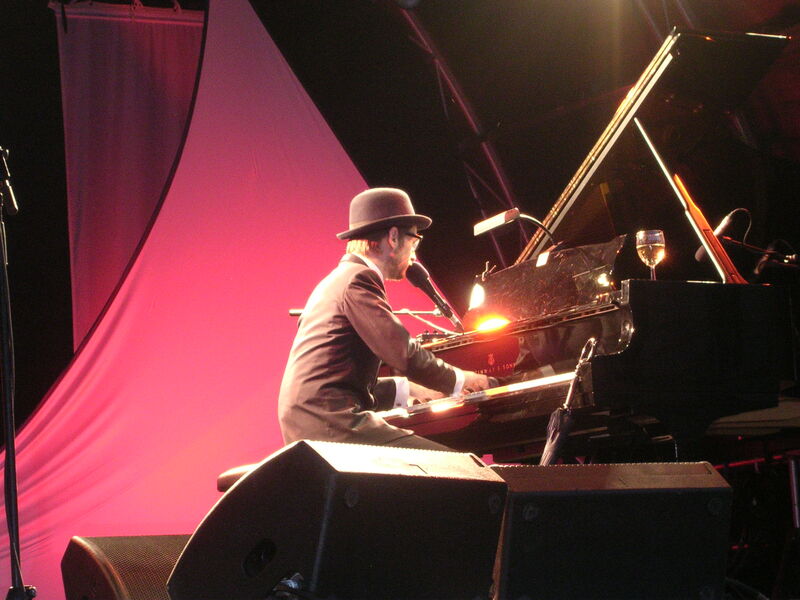 For nearly 2 hours he performed songs from across his career with his piano or guitar. The audience in a few places had to remind him of his own lyrics; but he was excused in that the songs were new and he had performed for so long that evening. The great thing about this performance was the fact that he seemed to be enjoying himeself. On the one previous occasion I have seen him (with a full band) he seemed not to be really interested and keen to leave the stage. This was symbolised by throwing beer into the audience. This time his tipple was white wine that went only into his gullet. An update on the flyover. 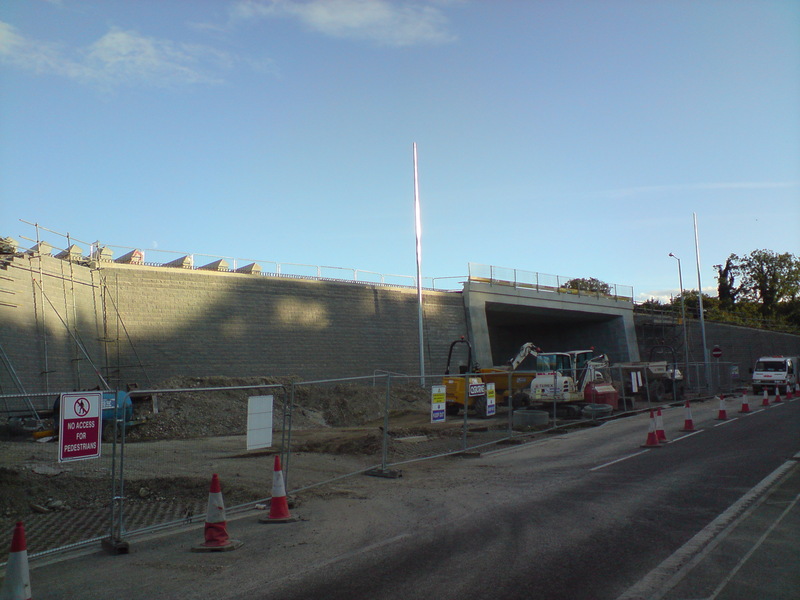 The aggregate has been arriving by the truckload and a wall has been erected on either side. As for the football, we now look forward to the start of the new domestic season. Watching the Dutch hack down the Spaniards was disheartening. I’d heard a lot about van Bommel, but seeing his dangerous tackles makes me feel a little grubby. This is not the beautiful game. Sadly. As ever, I love the radio commentary. Robbie Savage’s attempts at commentary on Radio 5 Live was a good illustration of the skill needed to do it at all, let alone well. 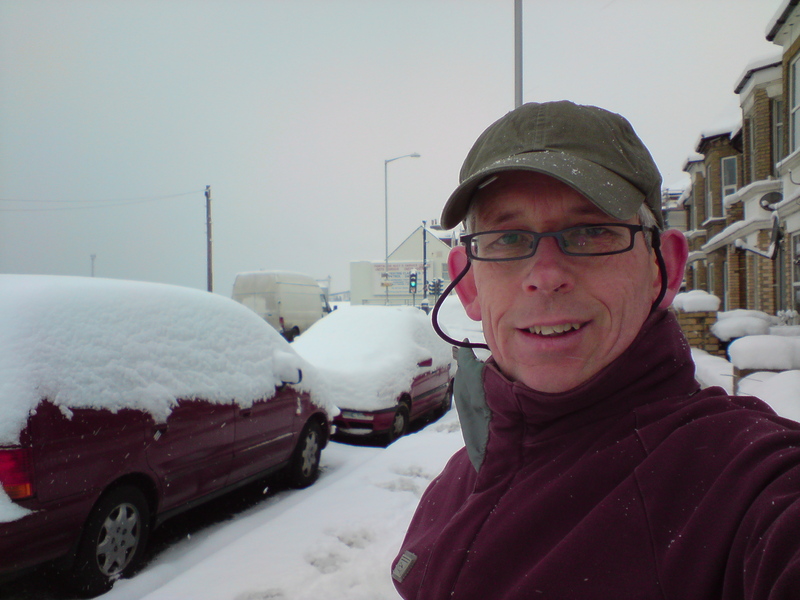 I also suggest that readers check out Dave Henson’s songs unofficially written for the BBC. 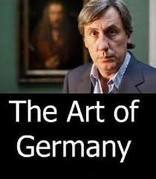 His best, I think, was “We’re still not as bad as France”; collectively, they capture everything about this world cup. They have all been uploaded to YouTube. The members of the Co-op finally got to have a team day – the first time in my 10 years there when all 12 members have attended t he same event at the same time. 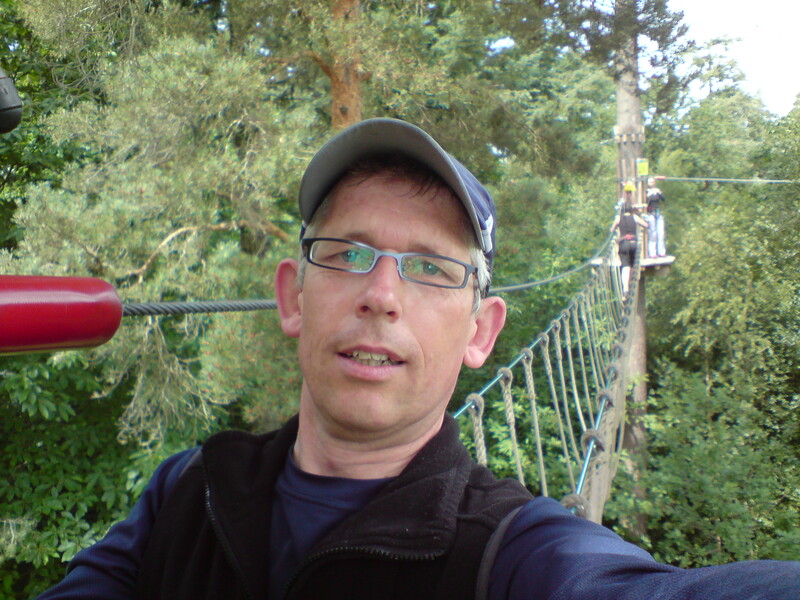 We did a Go-ape day at Bedgebury Forest in Kent. Three hours of tree adventure – negotiating tricky – and high -walkways. Most afterwards admitted to being a little anxious on certain stretches. Here is me in a tree. 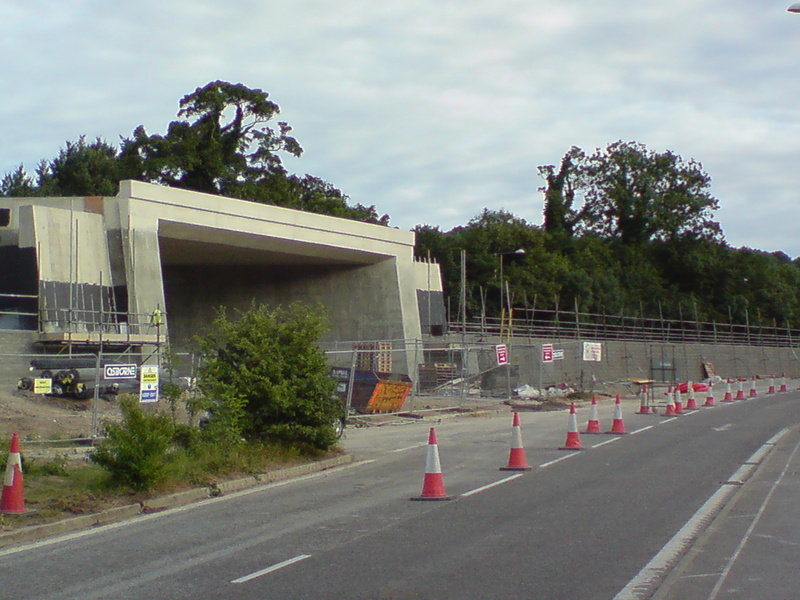 The work to i mprove access to the University of Sussex goes on apace. The flyover looks a little like the Arc de Triomphe (see photo). Maybe not. There’s a lot of aggregate to come on which to build a foundation for the road. 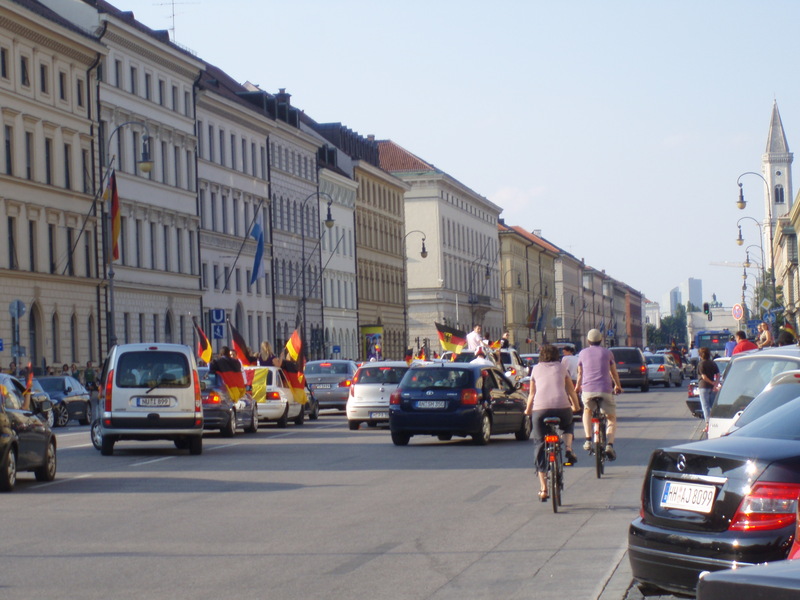 Notwithstanding the fact that it was an awful display by England, the aftermath in Munich (and no doubt in other German cities) was almost unbearable. One can feel very alone in a crowd. The celebrations in the City were perhaps a little overdone bearing in mind die DFM are only through to the last 8 (one might have been mistaken that they had won the championship). England were simply poor. Being English, I could only console myself by listening to the BBC correspondents online just to confirm that it was as bad as I had experienced as a viewer. It was worse. Indeed, it will be England v Germany; and I am in Munich. I’m heading into the City to share the experience with die Muenchern. Such is the WM, as it is known by the Germans. The day of the big match. I wear my red and white tie despite the heat. Irrational. That’s football. The team did it. Now, can Germany beat Ghana to set up a match with England? That would be amazing.